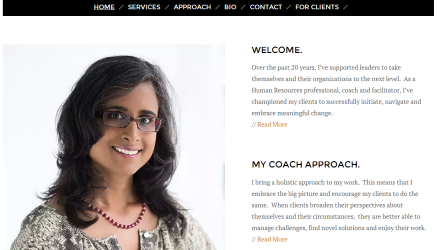 Madhu Krishnappa Maron is a Certified Professional Coach in New York. Her website features information about her coaching approach with an emphasis on social media. 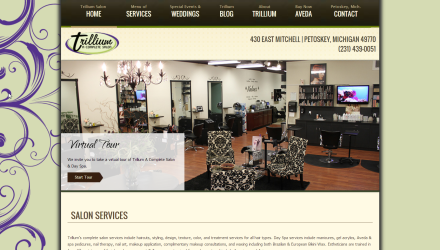 Trillium A Complete Salon & Day Spa is a high-end salon in Petoskey, Michigan. The site features a gallery of hairstyles, eCommerce (online gift certificate sales), blog, staff biographies, and services.